BUCYRUS — A Galion man was back in court last week to face allegations that he has violated his probation. Golden G. Wilson, 36, 218 Second Ave., made an initial appearance in Crawford County Common Pleas Court after being accused of failing to report to his probation officer and testing positive for alcohol use. Judge Sean Leuthold set Wilson’s bond at $150,000 and appointed Bucyrus attorney Geoff Stoll to represent him. A rural Bucyrus man admitted to violating his the terms of his probation and is on his way back to prison. Weston M. Mulvaine, 25, 5188 Stetzer Road, admitted that he failed to report to his probation officer and tested positive for drug use on several occasions. Mulvaine had served about four months of a three-year prison sentence for having weapons under disability that he was convicted of in 2016. Leuthold ordered Mulvaine to serve the remaining time of his original sentence in prison. Jerry L. Hoskins II, 19, Bucyrus, was placed on the intervention in lieu of conviction program after he pleaded guilty to one count of possession of drugs, a fifth-degree felony. If Hoskins successfully completes the program, the felony charge will be dismissed from his record. 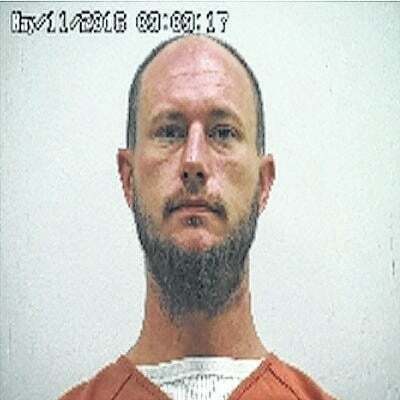 David M. Charlton, 39, Bucyrus, pleaded guilty to possession of drugs, a fifth-degree felony. Leuthold sentenced Charlton to five years of community control and ordered him to pay a $1,250 fine.